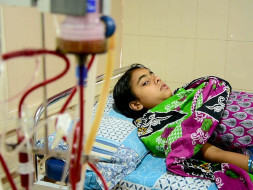 A father seeks help with tears for his wife's and daughter's Kidney Transplantation Surgery. Madhu, an uneducated and a daily wage worker who lives with a small family of his mother, wife and daughter. He is presently facing through a tragic situation that his wife and daughter are suffering from Chronic Kidney Disease which urgently required renal transplantation surgery for both. His income was not enough to manage his daily family needs, child's education and old aged mother's medical bills. His only world and happiness in life is his family. Now after hearing the health condition of his wife and daughter, he becomes lost, helpless and hopeless. 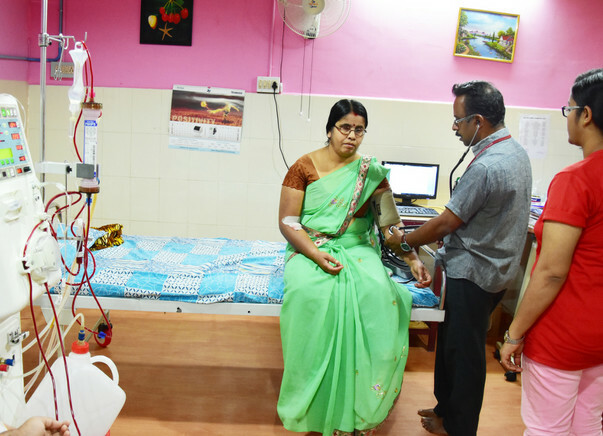 For wife's and daughter's initial medical checkups and dialysis, Madhu managed the bills by the help of nearby social groups and friends but, for Renal Transplantation Surgery, he requires Rs.8,00,000 for each which means, he urgently needs Rs.16,00,000 at one time that doctors suggested to do the surgery without any delay. V Save a Life met this family and tried to console them and gave them HOPE for a new life. Here, we believe, they will surely have a new life if we decide to chain our hearts and contribute with small. 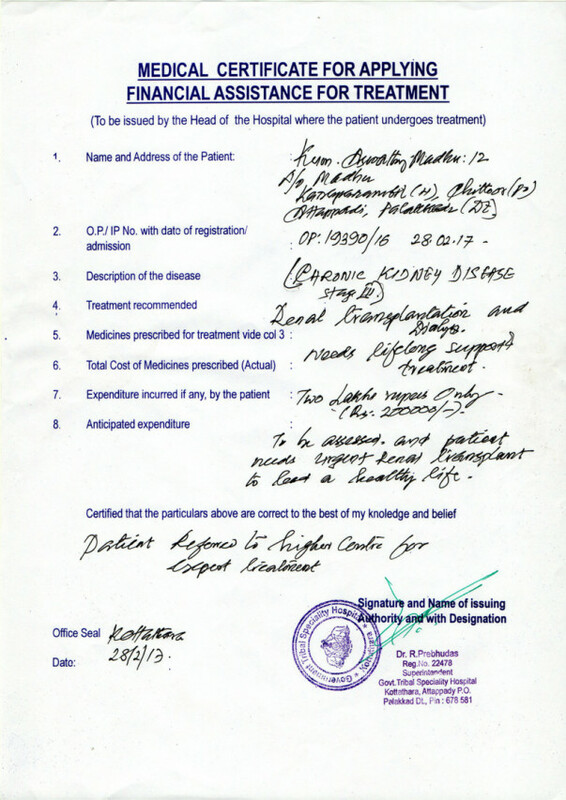 Doctor's video statement on Udayakumari and her daughter Aswathy about their medical condition. Firstly, We thank and appreciate your kind support and prayers towards Aswathy and her Mother. As you all know, we need some more funds to raise to ensure saving their lives. If possible, we request you, please help this family by promoting this fundraiser as your own and share with your social circle. 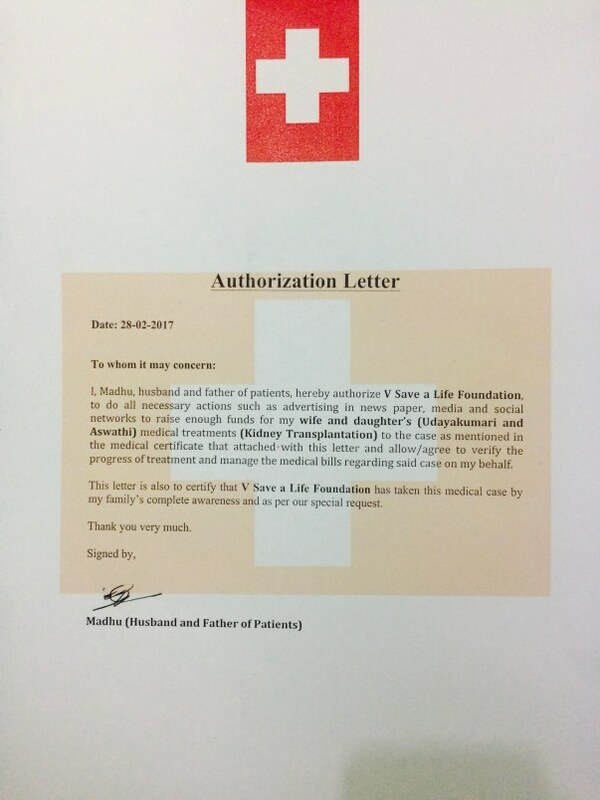 We know that you have supported already but if a bit more possible then it will be blissful in their present situation. We appreciate your kind support and request you, please help this family by promoting this fundraiser as your own and share with your social circle. Let us chain our hands and lift this family to a new life of hope. 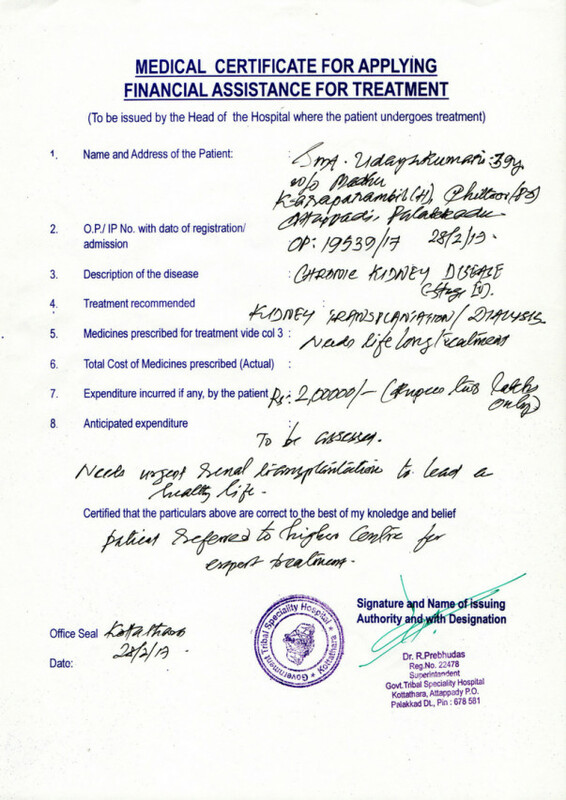 We are trying our maximum to raise enough founds for Aswathi's renal transplantation surgery. Kindly Support.